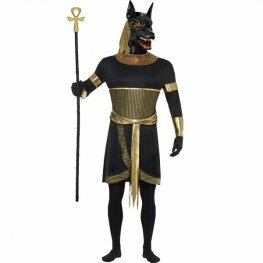 Smiffys Zombie Pharaoh Halloween Fancy Dress Costume. 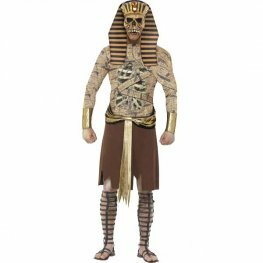 This Zombie Pharaoh Costume Comes Complete With Gold Tabard, Arm Cuffs And Headpiece. 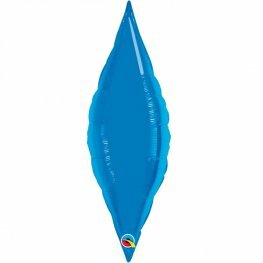 Smiffys Dark Cleopatra Halloween Fancy Dress Costume. 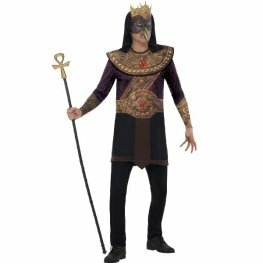 This Cleopatra Costume Includes A Black And Gold Dress With Cape. Horus God Of The Sky Halloween Fancy Dress Costume. This Halloween Costume Includes A Brown Sublimation Print Tunic, Collar And Mask. 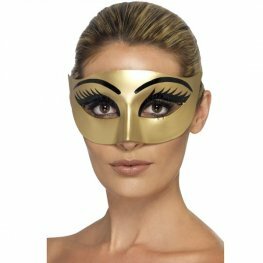 Smiffys Halloween Tomb Of Doom Gold With Black Eyelashes Evil Cleopatra Eyemask. 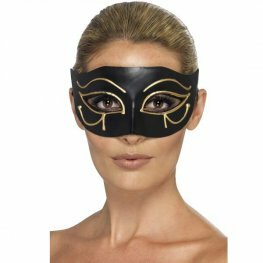 Smiffys Halloween Tomb Of Doom Black With Gold Detail Egyptian Eye Of Horus Eyemask. Smiffys Gold Tinsel Egyptian Goddess Halloween Wig.